Restrictions Apply. Select Units Only. Specific Lease Terms Apply. Prices and Specials are Subject to Change Without Notice. Specials do not apply to Furnished Apartments. Up to 1 Month Free!!! 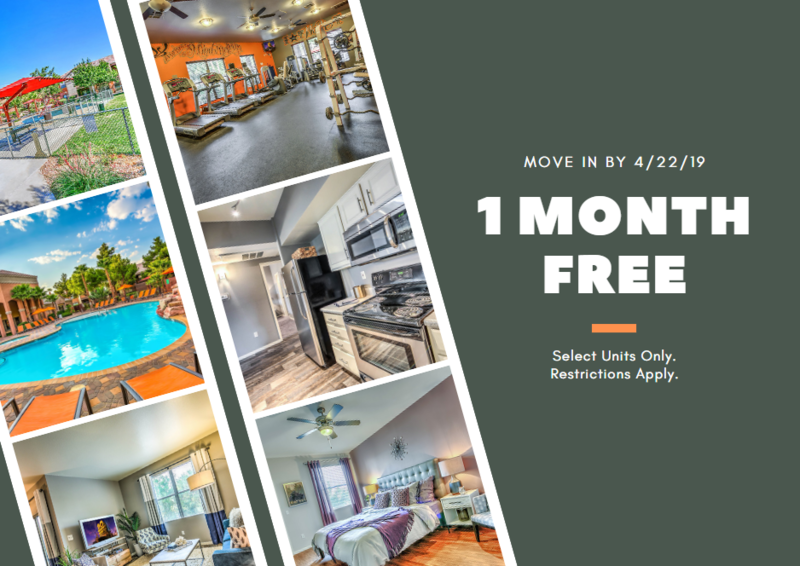 Receive up to 1 Month Free on select apartments when you move in by 04/22/2019. Restrictions Apply. Select Units Only. Incentive amount varies based on unit.